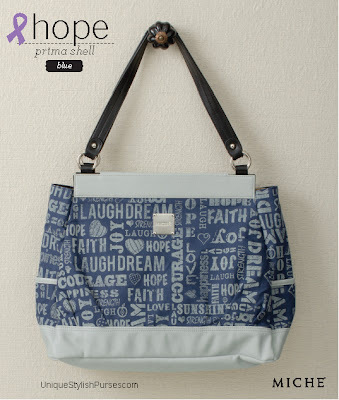 The Hope (blue) for Prima Bags features a happy-go-lucky design that will bring a smile to your face while raising awareness for Hope and bringing strength to those who need it most. Navy blue lightweight canvas is screen-printed with words of encouragement, and this Shell is accented with textured dove grey detail on the bottom and along the top. Side pockets.